Airports Authority of India invites applications from the eligible candidates who are domicile of West Bengal, Bihar, Odisha, Chattisgarh, Jharkhand, Andaman & Nicobar and Sikkim States for the post of Junior Assistant (Fire Service) NE-4 level at various airports in the above States in Eastern Region. b) 12th Pass (Regular Study) with 50 % marks. The candidates will have to appear for computer based / online examination, physical measurement, driving test and physical endurance test. The candidates will be allowed to appear in driving test subject to passing the computer based/online examination and physical measurement test. The candidate who qualifies the driving test only will be allowed to appear for physical endurance test. Appointment to the post of Junior Assistant (FS) is subject to fulfilling eligibility conditions and successful passing of Basic Training Course for a period of 4 months from AAI Training Institutes. During training, incumbent is entitled for stipend as per the rules. AAI will not be responsible for any injury caused during the course of selection process. Candidates who are applying for Airports Authority of India Junior Assistant jobs are searching for Syllabus for their preparation. For that purpose, we are giving syllabus and written exam question paper pattern of AAI Exam. Applicants can download syllabus along with exam pattern from our site. 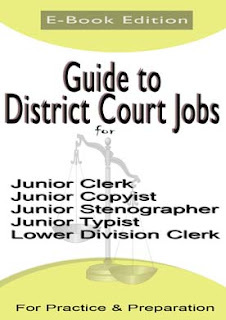 Syllabus is the very important for the candidates who are going to write these Junior Assistant jobs. Hence the people can start their practice by downloading the proper details of AAI syllabus. We are providing Airports Authority of India jobs test pattern details to get a brief idea about Airports Authority of India exam pattern. Aspirants can download pdf below previous questions papers. Previous year question papers are solved with answer. We prepare some model question papers and some sample questions papers for your preparation. Aspirants always search Previous Question Papers before appearing the examination. The candidates who are applying for the Junior Assistant Jobs can start your preparation for the Written Test going to organize previous question papers. Those can check this page for the Airports Authority of India Junior Assistant Fire Service exam materials. Aspirants can refer the AAI Junior Assistant Syllabus & Exam Pattern 2017 once before going to begin the preparation. Then, you will get an idea about the test pattern, subjects and so on. So that you will get perfect plan for the Airports Authority of India Exam preparation after practicing our sample question papers. After the planning, you will download the AAI Junior Assistant Model papers from the enclosed links. Start preparation and spend more time on practicing with these Airports Authority of India Previous Questions Papers PDF. Airports Authority of India Junior Assistant Previous Papers are uploaded here to help the candidates who are appearing for the Junior Assistant Fire Service Exam. The Applicants who are about to start their preparation for the Junior Assistant Fire Service Exam can refer the Airports Authority of India Junior Assistant Fire Service Model papers. So, interested candidates can click on the direct links given below for downloading the AAI Junior Assistant Practice Papers along with Solutions or Answer Keys. Download the Airports Authority of India Junior Assistant Fire Service Ten Years Previous Papers within few seconds for free of cost. You can download Airports Authority of India Question Papers form our website. Candidates who are going to write for the examination must searching AAI previous question papers. You are in right place. Airports Authority of India question papers are only model question papers. This sample question papers are for practice purpose only. We never assure you that you will get the same questions. The aspirants must practice Airports Authority of India Junior Assistant Model Question Papers for getting qualify in the examination. By practicing a vast number of AAI Junior Assistant Sample Papers, your level of knowledge will be uplifted. Therefore, download Airports Authority of India Previous Question Papers from the below free downloading links. 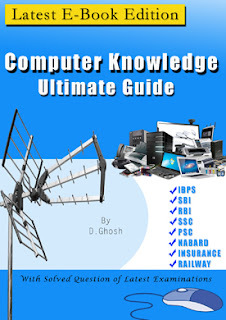 All these Model Question Papers are given in pdf format along with solutions. So, candidates have no need to search for the answers to the questions in Airports Authority of India Previous Papers and can download those papers within one click only. Practice the AAI question papers. Along with practicing Airports Authority of India Junior Assistant Model Question Papers, candidates must study all the topics in the syllabus. Because applicants can know only the pattern of the questions asking in the examination. But they don’t get the same questions in the final exam. Hence, contenders must prepare all the topics in the Junior Assistant Study Material. Individuals can refer the Airports Authority of India Junior Assistant Syllabus and Exam Pattern in the below table. The Airports Authority of India has dispatched the advertisement for hiring aspirants to the available Junior Assistant vacancies. Many contenders have sent applications to the Airports Authority of India. Now, they are busy in searching the AAI Sample Question Papers. Hence to help the candidates, we gave the free downloading links of Last 10 years Airports Authority of India Previous Question Papers with Answers. The applicants should start the preparation for the AAI Written Exam as early as possible. 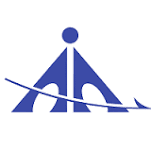 Download the Airports Authority of India Sample Question papers, Last 5 year question papers, of the AAI Junior Assistant. On our website, we have also provided the preparation tips for the applicants. Therefore, the contenders can download the Airports Authority of India Junior Assistant previous papers from our website along with preparation tips. These Preparation tips will be very helpful for the candidates to solve the questions in a much less time. So, the candidates can answer the objective questions quickly. Interested candidates can Download the Airports Authority of India Junior Assistant Fire Service previous papers and make use of them. Applicants can download the Airports Authority of India Old Solved Question Papers from the below attached PDFs. The AAI Exam Solved Question Papers will help the applicants for best preparation. You can also find the solutions for the AAI Junior Assistant Model Papers. So, the people can start the practice by checking the Airports Authority of India Junior Assistant Fire Service Solved Papers. The Airports Authority of India Junior Assistant Fire Service Practice Papers may not contain the originally asked questions. Hence Aspirants can use AAI Junior Assistant Exam Past Papers as a reference only.